Liz Walker has been providing friendly and high quality professional care for people living in Northampton and the surrounding areas since 1994. The clinics based at Grange Park Doctors Surgery and Tudor Pharmacy Treatment Room in Wootton Fields are easily accessible by car, bus and foot, if living in the immediate vicinity. There is ample parking at both locations too. 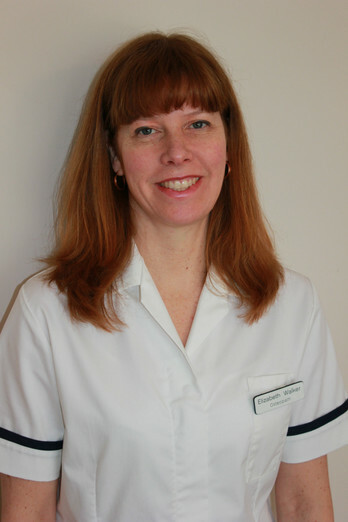 Liz graduated from the British School of Osteopathy in 1994. Since qualifying she has worked at clinics in Milton Keynes, Wellingborough and Northampton alongside doctors, midwives, nurses and other medical specialists. Liz has attended many post graduate courses and is especially interested in the treatment of pregnant mums, babies and children. As well as using structural and visceral treatments, Liz has also trained and studied how to use cranial techniques. These are used for the treatment of adults, babies, children and the elderly offering a more gentle and tailored approach which is also highly effective. Liz is registered with the General Osteopathic Council (GOsC). Liz has completed a 4 year degree course recognised by the GOsC. To maintain her registration Liz completes 30 hours of postgraduate study each year which also maintains clinical skills and keeps her up to date with her research work. Liz receives most of her referrals by word of mouth, with existing patients' recommending her to friends, family and work colleagues this is something she is very proud of. I am extremely happy to recommend Liz. She has used her osteopathic skills to successfully treat both myself and my husband on many occasions over the last thirteen years. Her talents are in diagnosing problems quickly and professionally and treating them in the most appropriate way. She is not only a talented osteopath but a sympathetic and caring individual. Liz Walker has been treating me for my long standing migraines and a neck problem. As a result my migraines are reducing in frequency & my neck problem is improving. I can thoroughly recommend Liz for her caring attitude, professionalism & the efficacy of the treatment I have received.